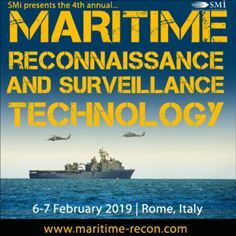 SMi is delighted to announce that four brand new sponsors; [GOLD] Leonardo, Raytheon, ICEYE and Aerodata AG, have joined the line-up for Maritime Reconnaissance and Surveillance Technology conference 2019. Read on to find out how these industry leading solution providers can help solve the potential challenges navies face in the sea and air. Gold Sponsor, Leonardo is a global high-tech company in the Aerospace, Defence and Security sectors. Leonardo’s Airborne & Space Systems Division is focused on integrated mission systems, airborne radars and sensors, electronic warfare systems, on-board avionics, aerial target systems and simulation systems, Remotely Piloted Aircraft Systems (RPAS) and space systems. Leonardo’s Land & Naval Defence Electronics Division offers all the necessary expertise to guarantee land and naval Armed Forces with a qualified and fast information superiority, situational awareness, command and control capability, weapon systems management and network communications. Leonardo will be both presenting (day 1) and exhibiting at the two-day conference. Raytheon UK is a subsidiary of Raytheon Company. It is a prime contractor and major supplier to the U.K. Ministry of Defence and has developed strong capabilities in mission systems integration in defence, national security and commercial markets. With a history of innovation spanning 96 years, Raytheon provides state-of-the-art electronics, mission systems integration, C5ITM products and services, sensing, effects, and mission support for customers in more than 80 countries. Raytheon will be presenting (day 1) at the two-day conference. ICEYE are a global satellite monitoring company who's revolutionary synthetic-aperture radar (SAR) technology has limitless ability to image sea through clouds and darkness, just as during the day. ICEYE will be presenting on day 1 of the two-day conference. Aerodata AG provides special mission aircraft which can be tailored to various tasks like Maritime and Land Surveillance, and border patrol. For these types of tasks, their mission management system "AeroMission" provides a specific solution regarding sensors and their operation, visualization and aircraft installation. Aerodata AG will both be presenting (day 1) and exhibiting at the two-day conference. This year, SMi are hosting a pre-conference workshop, “C-SIGMA and S-AIS, Creating a New Paradigm”, which will be lead by C-SIGMA. C-SIGMA envisions linking together existing and planned unclassified space system capabilities in a worldwide collaborative network via coordinated regional centers for international Global Maritime Domain Awareness to provide security, safety, environmental protection, resource conservation, as well as disaster mitigation and recovery. Benefits of attending the half-day workshop include: an update on the rapid expansion of Earth Observation satellite capabilities & their impact on the maritime world, finding out about Earth Observation Systems, learning how S-AIS has changed the maritime world, and how analysis with Artificial Intelligence and Machine Learning is impacting maritime operations. The workshop will take place on Tuesday 5th February 2019 between 12:00 and 16:30 at the same location as the conference: The Crowne Plaza Rome – St. Peter’s Hotel, Rome, Italy. For those who would like to attend the conference there is a £100 early bird offer which is valid until Midnight on Friday 14th December. Register for the conference.